Access to the SOFA CHICAGO Lecture Series is included with fair admission. Lecture Series rooms A and B are on the upper level of show floor, above entrance at the east end of Festival Hall. 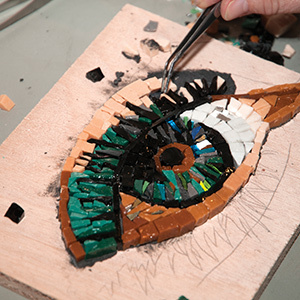 Continuous mosaic demonstrations throughout the day. Discussion with the faculty advisors of the six chosen participating CONNECT schools: Columbus College of Art & Design; Illinois Institute of Technology; University of California-Davis; University of Iowa; University of Massachusetts Dartmouth; and Virginia Tech University. Moderated by William Ganis, Chairperson of the Department of Art and Design, as well as Professor of Art History at Indiana State University. In addition, Dr. Ganis is an active and accomplished arts writer and has penned reviews and articles for national and international publications, including Artforum, Sculpture, and Border Crossings. Dr. Ganis is a contributing editor for Glass Quarterly and continues to write about Andy Warhol’s photography, especially the “Photographic Legacy” material recently made public. 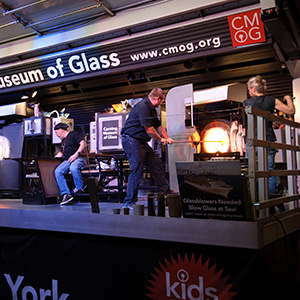 Mark Peiser has been involved with the Studio Glass Movement since 1967 and is widely recognized for his uniquely individualized approaches and accomplishments. In 1967, Peiser attended a five week glass session at the then burgeoning Penland School of Crafts. There, he quickly acquainted himself with the basic tools and limited written resources available at the time. “I was told there was no information available beyond what I saw,” he says. “I found the only way to learn was through experimentation in all aspects of studio existence.” And experiment he did. Peiser was made Penland’s first resident glass craftsman, a post he held until 1970, when he established his own studio nearby.” Peiser is a founder of the Glass Art Society started in 1971 at Penland, of which he is an Honorary Lifetime Member. 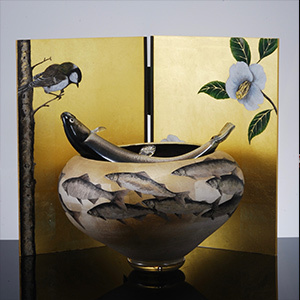 Peiser's work is in the collections of the Art Institute of Chicago (IL), Birmingham Art Museum (AL), Cooper-Hewitt National Design Museum (NY), Corning Museum of Glass (NY), La Galerie Internationale du Verre (France), Glasmuseum (Denmark), High Museum of Art (GA), Hokkaido Museum of Modern Art (Japan), Hunter Museum of American Art (TN), Milwaukee Art Museum (WI), Mint Museum of Craft + Design (NC), Museum of Arts & Design (NY), National Museum of American History, the Peggy Guggenheim Collection, Smithsonian Institute (DC), Santa Barbara Museum of Art (CA), Toledo Museum of Art (OH) and Tokyo Museum of Modern Art (Japan). Peiser was inducted into the College of Fellows of the American Craft Council in 1988 and received the Lifetime Achievement Award from the Art Alliance for Contemporary Glass in 2004. Additionally in 2009 he received the North Carolina Governor’s Award and in 2010 the Lifetime Achievement Award from the Glass Art Society. Small discussion with book signing to follow with Michael Taylor. The Story Behind the Tree: Abstract vessels and forms by celebrated wood sculptor Brad Sells. Sells will discuss his influences, techniques, and sculptures created from exotic and domestic wood using a free-form carving technique. His process involves a number of tools including a chainsaw and straight and angled grinders. Sells lives and works in his hometown of Cookeville, TN, where he owns Bark Studio. He has been featured in the Tree Safari documentary series by award-winning filmmaker Todd Jarrell. His pieces are held in the collections of many national and regional museums and galleries, including the Smithsonian Institution’s Renwick Gallery in Washington, D.C., Fuller Craft Museum in Brockton, MA, and the Museum of Art & Design in New York City. Sells is represented by Blue Spiral 1 located in Asheville, NC. What does an artist, gallery, glass factory, inventor, and distributor all have in common? 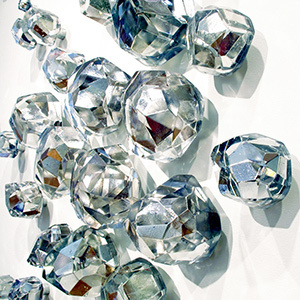 Each spent a lifetime committed to their idea that contributed and changed the contemporary glass movement. Come listen as they share their "lightbulb moment" story that defined who they are. Jim Rose has been exhibiting his steel furniture at SOFA since it's first fair 25 years ago. His skillful interpretation of the Shaker design is a result of intense research and field study of Shaker furniture, architecture, culture and history. Darren Emenau is a contemporary ceramic artist from New Brunswick, Canada. 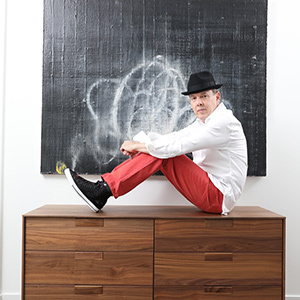 He will speak about his sources of inspiration, how his ideas, forms, and surfaces have evolved since the beginning of his career in 1996, and how his obsession with experimentation propels him forward. Copyright © SOFA CHICAGO 2019. All Rights Reserved.